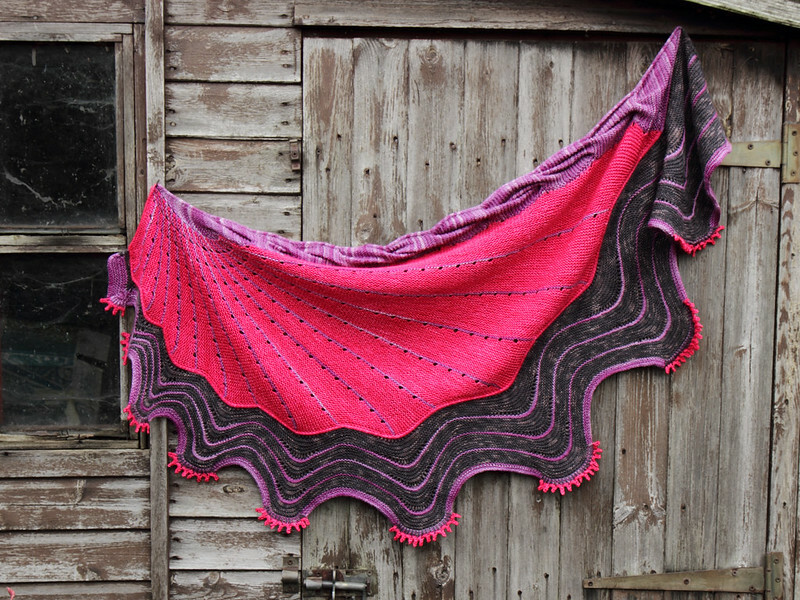 This project represented two firsts for me… I have never followed a knit-a-long (I’m not very good with instructions, generally) and I have never knitted a Stephen West pattern, despite being a huge admirer of his inimitable quirky, bold designs. The mystery KAL appealed to me – instructions delivered in bite-sized chunks, once a week for four weeks, and being Stephen West, I was pretty sure it would suit my style and be a fun knit. There was detailed advice on colour selection and I had plenty of choices from my extensive stash of hand dyed 4 ply. My yarn selection: Fyberspates Scrumptious 4 ply in ‘Purple Heather’, It’s a Stitch Up Favourite Sock in ‘Hot Thing’ and an unidentified skein of merino in dark grey. My main colour is our own Favourite Sock in ‘Hot Thing’, which is a very bright shade that’s hard to photography as it looks different in every light – sometimes pinkish red, other times reddish pink. 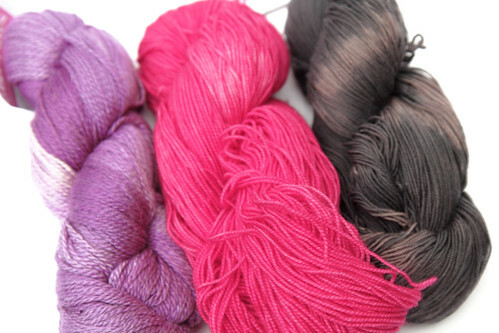 Colour 2 is Fyberspates Scrumptious 4 ply, which is a silk and wool blend, in ‘Purple Heather’. Fyberspates are no longer producing Scrumptious in variegated shades like this, it has been in my stash forever waiting for a special project. It’s a fair bit thicker and lower yardage than Favourite Sock, so it could only be colour 2 for this pattern, which required less than the other two. I’m not sure what the third yarn is but I chose it to provide a dark contrast and neutral ground for the other shades. I had bought it with socks in mind but never used it because they’d have been boring to know. With two strong colours however it becomes a bit more interesting. Over 850m later, there really isn’t much. It became clear about half way through week 1 that this was actually quite an epic project. I am glad that I took it on, and had it not been for the mystery KAL format I probably wouldn’t have. Stephen West’s patterns normally feature innovative construction, which can make the instructions harder to understand. I find it quite hard follow any pattern or cook using a recipe without a picture of what I’m aiming for, so I cheated a little at the start and had a good look through projects on Instagram to figure out what the first clue was asking for. 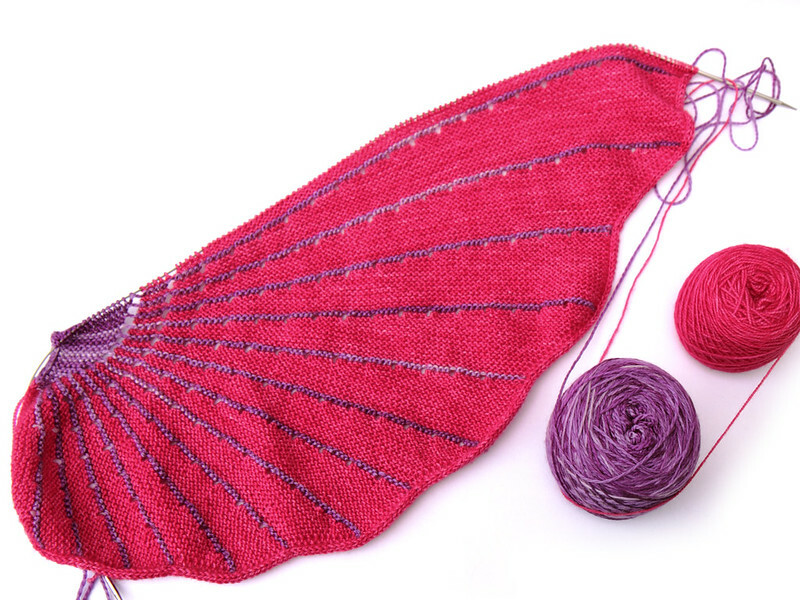 In week 1 the start of the shawl unfurled like a lacy butterfly wing, created from yarn-over short rows. Week 2 is a band of garter cables, which forms the neck edge of the shawl. Working 30+ stitch cables was a bit of a challenge but the effect is great. Colour 3 comes in in week 3 as ever-expanding ripples formed of more short rows and yarn overs. The stripes of colour 2 were my own addition to break up the big area of dark grey and echo the week 1 part of the design, but having seen other finished projects I think the design works just as well without. Week 4 offered several variations for edging depending on the amount of yarn remaining. I had plenty so I opted for the picot clusters, which I love for their eccentricity. 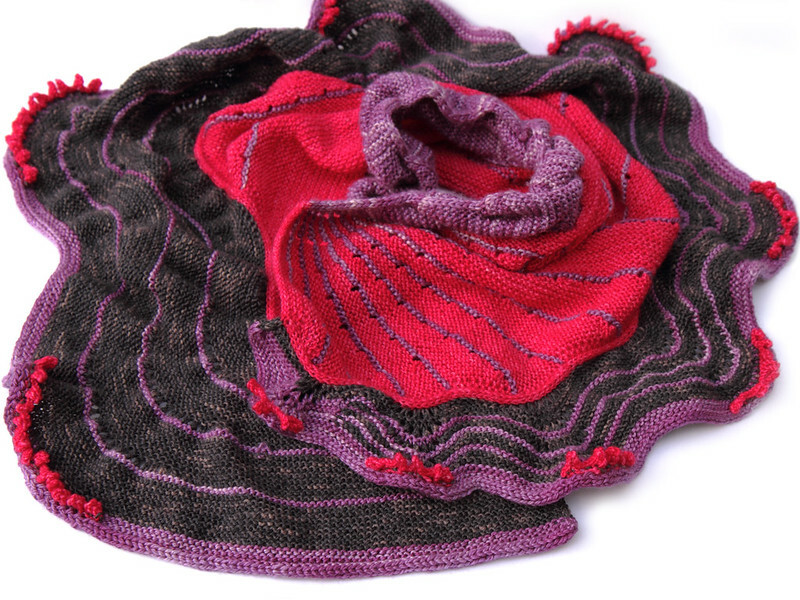 Blocking the shawl was a bit of a challenge, though essential in getting the ripples to sit properly. I was bigger than any shape I could make with my blocking mats and I could only just fit it in the available floor space and took many, many pins. The finish result is well worth the time invested in careful blocking. If you’re inspired to knit this pattern for yourself (and I strongly recommend that you do! 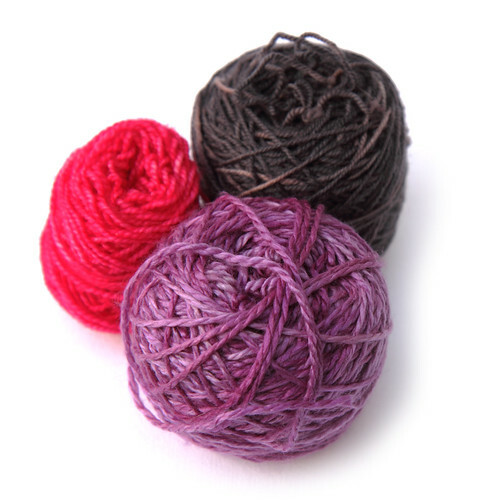 ), our It’s a Stitch Up Favourite Sock yarn is ideal. As a high-twist merino I wouldn’t normally recommend it for shawls, but it’s perfect for The Doodler because, being mainly garter-stitch, it requires more bounce than drape. On the West 2015 KAL, can you tell me how you added the contrast color in week 3 — the bottom of the shawl? I want 3 contrasting horizontal stripes, but am unsure how to do it. It appears you were successful at it. Thank you. Hi Noreen, I added the contrast colour for the two rows following each of the yarn-over rows. There was a bit of fiddling on the short edge, because of the way the short-rows worked our that edge was made entirely of the contrast colour. With hindsight I’d have added a contrast stripe after the first set of week three yarn-overs but I didn’t decide to do it until I was a bit further in. I hope that helps!